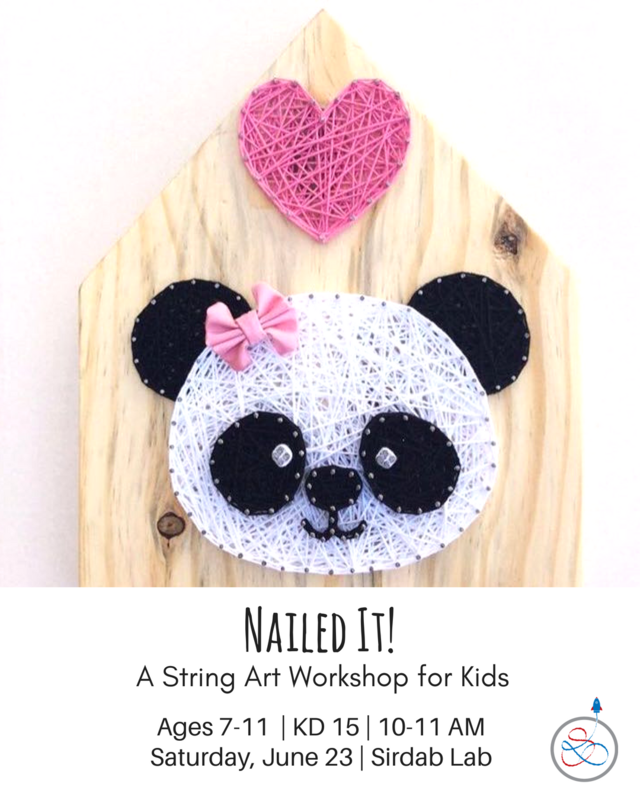 In this workshop, kids will exercise their motor skills and use string to create their own panda wall art. They’ll be guided by professionals every step of the way. 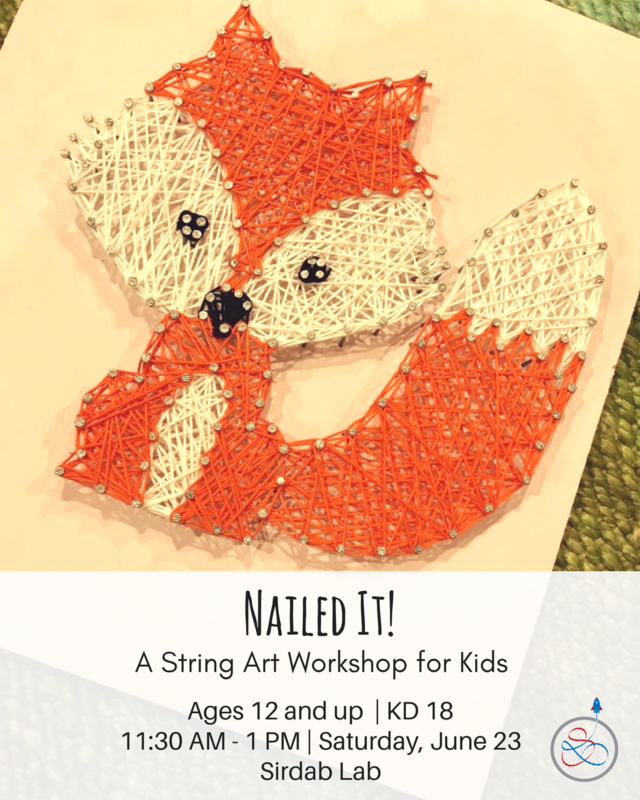 Kids in this batch will only use string (no hammers and nails). In this workshop, kids will learn how to create their beautiful own wall art piece using a hammer, a few nails, and some colorful string. They’ll be guided by professionals every step of the way. Both workshops are being offered in partnership with ArtCenter MSD.